A contrast of richer and lighter shades of brown. Various sizes of beautiful butterfly joints. A truly dazzling, one-of-a-kind design. 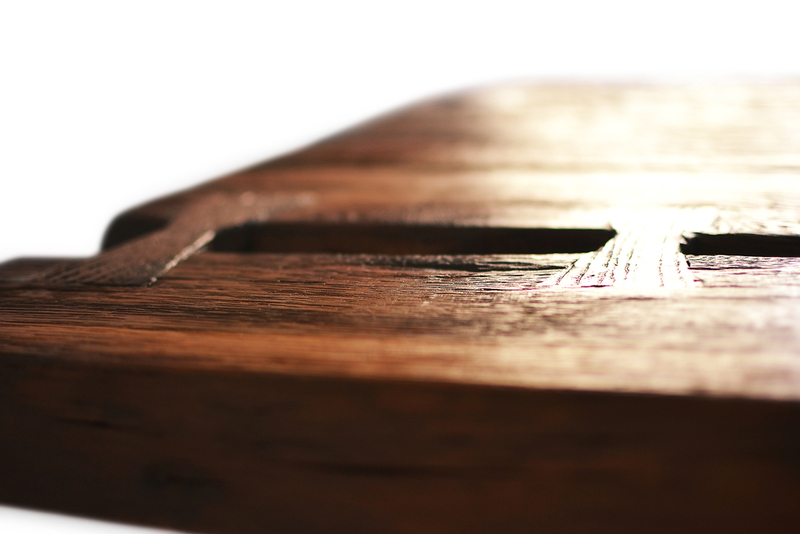 The handiwork on the edges exposes a level of detail in the grain that gives the table an enormous amount of character. You will keep discovering unique features of this table to admire.